This large 3D black light reflective Jimi Hendrix tapestry is approx. 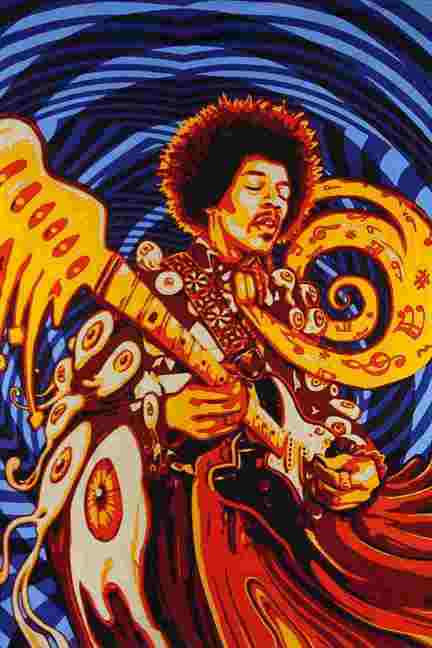 60" x 90" and has a psychedelic guitar playing image of Jimi on it. You can use this tapestry as wall hanging in your home or office (it has corner loops for easy hanging), throw it over a couch, or as a bedspread on a twin bed. It would look great in a dorm room. 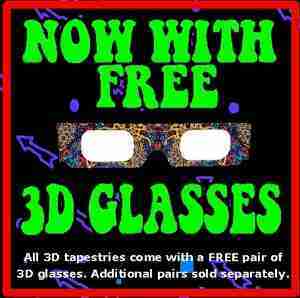 Officially licensed Jimi Hendrix merchandise.